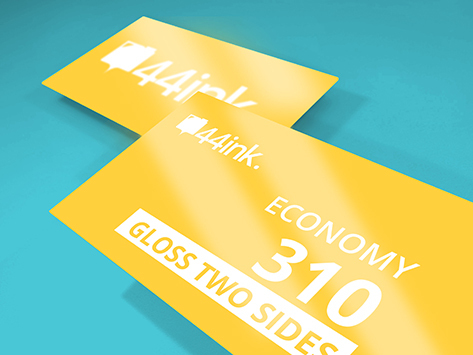 Gloss Celloglaze 310 gsm card, for that extra edge. A gloss celloglaze business card just adds that extra star quality for your brand. A professional brand impression can mean the difference between winning and losing your next deal. Create a business card that makes your company stand out from the pack by adding an extra highlight.